The U.S. Department of Energy has awarded Illinois Tech a $160,000 Nuclear Energy University Program (NEUP) grant to fund important new equipment at the school’s Materials Research Collaborative Access Team (MRCAT) beamline. It will be available to users of MRCAT through proposals to the Nuclear Science User Facility (NSUF). 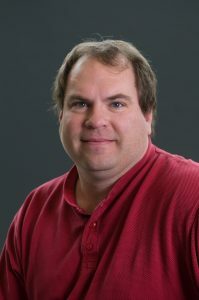 The proposed equipment (autoclave with two sapphire windows) will primarily be used for the improved understanding of corrosion in light water reactors, according to Jeff Terry, professor of physics, who wrote the grant. It could potentially be used to study supercritical CO2 reactors as well, he added. In all, DOE is awarding approximately $6 million to 19 colleges and universities to support research reactor infrastructure and general scientific infrastructure improvements. According to DOE, these awards strengthen U.S. competitiveness in nuclear R&D and ensure that American universities have good equipment and tools available to educate the next generation of industry leaders.